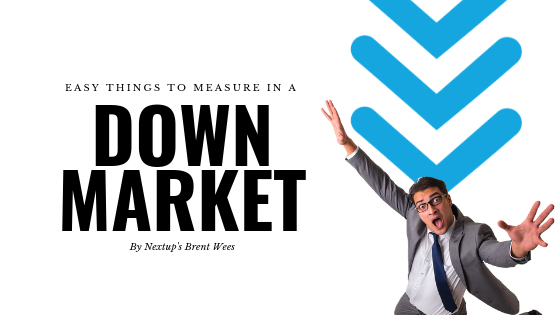 Easy Things To Measure In A Down Market. I want to give you 2,157,876 reasons to measure everything with honesty and accountability. If the markets continue to slow it may just be the hardest exercise to conduct but it’s one that can keep you ahead of your peers. We pulled all of 2018 Nextup data so that it could help us understand the importance of honestly tracking opportunities and how it can dramatically help you be more profitable. Anyone Say Hello to That Guest? Across dealerships in North America, we tracked 2,157,876 total in-store opportunities for 2018, Appointments, Be-Backs and Walk-ins. What did your dealership track today? Many dealers I talk to say, “we don’t have 100% coverage at our store”. It’s so critical to set this as a foundational measurement. Without it, everything else falls apart and you’ll never get true answers on your business performance and profitability. How many times this past month did a manager intro occur on the floor for a sales associate? The reason I ask is that in 2018 when a Manager Intro didn’t happen, Nextup’s data showed that our client’s closing ratios were a paltry 16%. 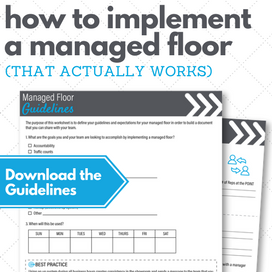 However, when Managers got involved with their team on the floor the closing ratios more than doubled to 35%. 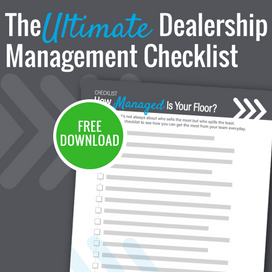 The most intriguing piece of data here is when the dealers logged a manager intro and a test drive with their showroom opportunities, the closing ratios increased to 57%! The Feel of The Wheel, Seals the Deal. We recorded 1,287,521 test drives on the platform last year. It’s a good number but here’s why you want to keep improving it, year over year. ONLY 1% of showroom prospects that DID NOT go on a test drive purchased a vehicle. We continually talk about this. Why? BECAUSE IT NEVER CHANGES, EVER. Your store’s mandate for an increase in test drive numbers should be a resolution that absolutely must happen. We constantly debate and discuss the need to get people through the sales process faster because “that’s what buyers want”. Has anyone ever recorded the people that want a dealership to take their time with them during their visit? Ensured they listened to them and delivered what they were looking for in an efficient and timely manner? No? We did. The AVERAGE TIME with SOLD APPOINTMENTS on those 2 million plus opportunities was 2 Hours and 41 Minutes. AVERAGE TIME with a SOLD WALK-IN? 2 Hours and 16 Minutes. Don’t let your salespeople work with showroom customers, meanwhile, have one eye on the door for the next opportunity. They’ll close more deals being attentive and focusing on their guests. The Good, Bad and the Ugly of Finance Wait Times. Here’s the Good, on all that recorded data we saw this year, the dealers that were measuring wait times FOR FINANCE clock in at an average of 10 MINUTES. Do your customers only wait 10 minutes? The Bad (ok, it’s not terrible but it can always improve), once in finance, guests were spending almost an hour. The longer they’re in Finance the lower the CSI Scores received. Earlier I mentioned the importance of taking our time with guests, this is a crucial area of measurement of time for opposite reasons. The UGLY is when you hear of guests waiting for hours to get into Finance or spending hours with the department to transact. Just check your surveys and online reviews, it’s there. I hope you can take all of this and share it with the rest of your staff or management team. Here’s a handy infographic of all I’ve shared for your reference.